Is your toddler learning the right words? 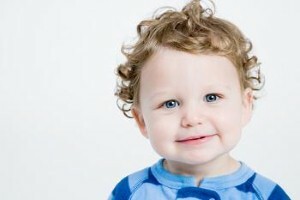 Home » Kids » Is your toddler learning the right words? Unless you've had experience as an educator specializing in language, the prospect of teaching your child how to speak can seem complex and overwhelming at first. Luckily, you have enough time during the first several months of your baby's life to brush up on some parenting techniques and develop the patience necessary to immerse your child in the English language. As a father, much of your baby's earliest experiences with language will come from simple activities like talking to your little one, reading stories, watching educational TV programs, singing songs and meeting new people. While children learn and master fundamental English at varying rates, you may also want to be on the lookout for signs that your son or daughter is underperforming based on his or her age. This could be a natural developmental road bump, but it may also indicate a more serious problem. According to the New York Daily News, a study led by Dr. Leslie Rescorla of the Child Study Institute at Bryn Mawr College has identified 310 words that children commonly learn as they're developing the ability to speak. On this list, researchers found 25 basic words that every child should know by at least 2 years of age- including selections like mommy, daddy, yes, no, hello, ball, dog, milk and juice. These selections essentially function as indicators of a child's possible learning difficulties caused by conditions like poor hearing, dyslexia or autism. Ideally, children should have a mastery of about 50 words and have begun to form those words into sentences and phrases. Rescorla told the New York Daily News, "If they are not doing that, it's worth evaluating them because they might have a problem you can start helping them with early."